The world is your oyster, let's experience it together. Congratulations! You've spent years planning and putting in the time, now you can enjoy the benefits of your hard work. Becoming accustomed to your new lifestyle and managing finances during retirement can be tough; you’re not alone. 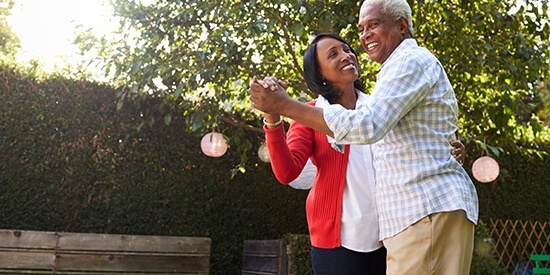 Let’s work together to ensure you get the most out of your retirement. A great way to earn higher dividends than a traditional savings account while maintaining access to funds when you need it. Take advantage of the equity you've built in your home. Choose from a fixed-rate, fixed-term loan or an open line of credit. Fatten up your savings with a higher return. Set aside funds for a set term for that special project or event and watch it grow. Stay on top of your money in the comfort of your home or wherever you may travel. Create and follow budgets, pay bills, transfer money, and more, all from your computer, tablet, or smartphone. Everyday card options for your every day. Earn points for travel, merchandise, or more, or cash back on every purchase, every time. No matter your preference, we have a low-rate card for you. Ready to buy a new ride? Take advantage of a great rate for your new vehicle with a variety of term options and less fees. From Estate Planning to Elder Law, we have seminars lined up throughout the year helping you map out your financial future. *Legal Services are available at the Financial Mall, located in our Reading Road office. The Financial Mall is provided through CUSO Corp. - a credit union service organization wholly owned by General Electric Credit Union. Legal Services are provided through the law firm of Wood & Lamping LLP. **Non-deposit investment products and services are offered through CUSO Financial Services, L.P. ("CFS"), a Registered Broker-dealer (Member FINRA/SIPC) and SEC-registered Investment Advisor. Products offered through CFS: are not NCUA/NCUSIF or otherwise federally insured, are not guarantees or obligations of the credit union, and may involve investment risk including possible loss of principal. Investment Representatives are registered through CFS. General Electric Credit Union has contracted with CFS to make non-deposit investment products and services available to credit union members.